The articles below will provide you with a wealth of knowledge about hardwood flooring. Whether you're trying to learn how to install hardwood flooring on your own, or trying to find out where to compare wood floor prices, or you want to research whether you should choose unfinished flooring or prefinished floors, you will find what you need to know in one of the articles listed below! 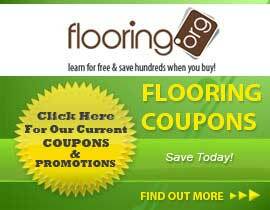 We're adding new wood floor related articles all the time. Our goal is to answer everyday wood flooring questions like What is Engineered Hardwood Flooring? And less common questions like What Kinds of Exotic Hardwood Flooring are Available? No matter what you want to know, the Hardwood Flooring section of our articles archive is the place to start!